The day-to-day stresses of life can be overwhelming and at times may make it hard to focus on keeping up the intimacy in our relationships. Often, a loss of attraction isn't to blame for extinguishing the flames that once burned in the bedroom, but rather a diminishing libido. 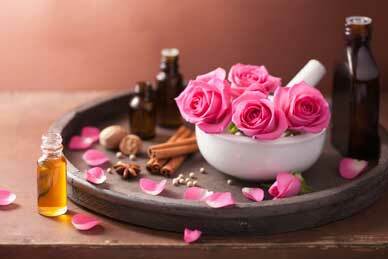 Therapeutic use of essential oils has been a recognized practice for thousands of years, dating as far back as 2800 BC. In addition to traditional methods of using essential oils for relaxation, stress management and the alleviation of symptoms associated with menopause, they can also be used as a catalyst to stimulate arousal and boost libido naturally. Topical application of essential oils through sensual massage can be used to stimulate arousal and boost libido naturally. Powerful aromatic properties of the oils working in combination with your partner’s sensuous caresses will not only help to relax your body, but heighten your senses for added indulgence. Using essential oils for sensual massage is dually beneficial. Not only are your partner’s caresses allowing the oils to enter the bloodstream through dermal application, the oils are also being absorbed into the bloodstream by way of inhalation. 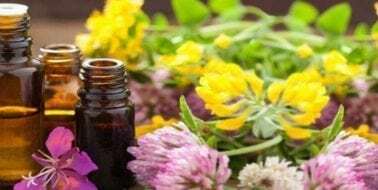 Many of the essential oils recommended for topical application call for specific measurements and blends in order for them to have libido-boosting effects, so it’s important to read packaging and usage directions well before application. Putting the spice back into the “bedroom” doesn’t mean limiting yourself to the bedroom. Sometimes a change of scenery provides a bit of added excitement. Applying a few drops of lavender and eucalyptus to a warm bath is said to having calming effects. A relaxing soak using these essential oils will help rid you and your partner of anxieties and inhibitions, which are also known libido killers. The benefits of essential oils extend far beyond their traditional therapeutic uses for stress relief and relaxation. 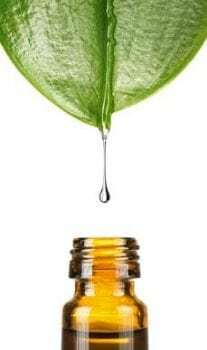 A number of studies show that many essential oils also help to increase diminishing libido in both men and women. Rekindle those bedroom flames using natural essential oils in whichever form that pleases you and your partner to give your libido the kick start it needs.